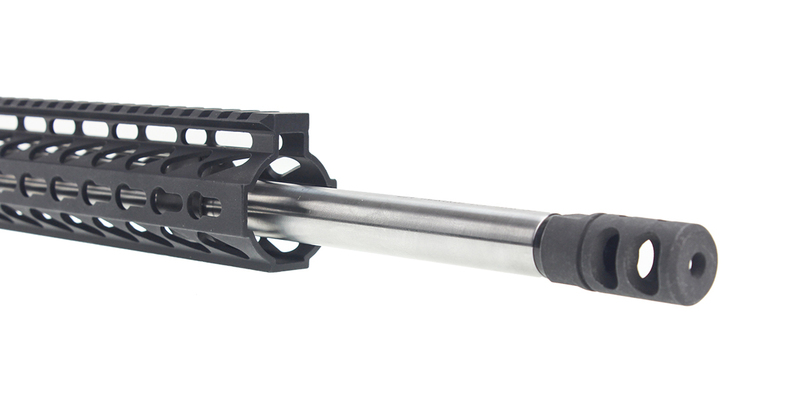 A .224 Valkyrie 20" 416R Stainless Steel Barrel From The Gorilla Barrel Co. That Has Been Cryo Treated & Stress Relieved Preventing Thermal Expansion For Exceptional Accuracy & Improved Barrel Life. Designed For Long Range Competition Shooting With A Lighter Straight Profile For Mobility In 3 Gun & Like Tournament Shoots Giving You Amazing Sub 1" Moa @ 100 yard Accuracy Without The Added Weight. Gorilla Barrel Co Uses Select Over Match Grade Bulldog Barrel Blanks That Are Fully Lapped & Honed & Using Carpenter 158 Broached & Hand Deburred Barrel Extensions Makes This A World Class Tier 1 Barrel That Could Be Used Confidently In Any Competition Or Long Range Shooting Events. 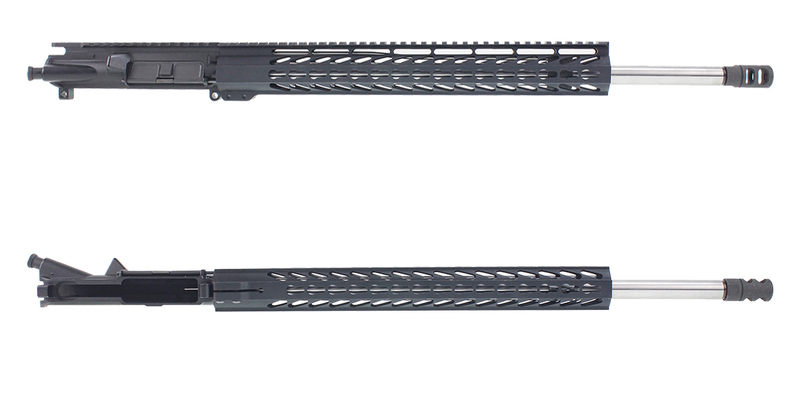 This Build Also Includes A Lakota Ops "Diamond Back" 15" KeyMod Ultra-Lite 6061 T6 Aluminum Slanted Port Handguard w/ Steel Barrel Nut. 100% Made In The USA Allowing Detachable Picatinny Rails Allows You To Comfortably Grip The Pistol In A Variety Of Shooting Positions & Still Securely Mount Accessories. 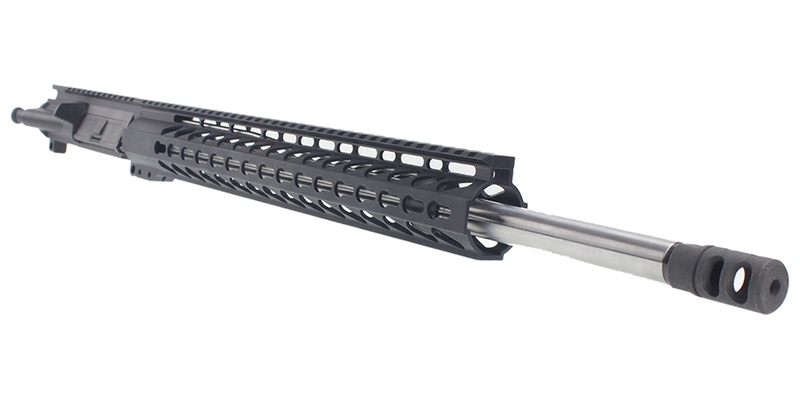 This Build Includes A Muzzle Device From Omega Manufacturing. This Muzzle Device Features 6 Port Vents To Help Thrust The Flash Forward And Away From The Shooter. Made of 4140 Steel and has a Phosphate Black Finish. Threading is 1/2x28 which is commonly used for an AR-15/M4 Firearm.